Ah.. what can I say about old school hokkien mee. Apart from the fact that it’s really difficult to find a good one these days. You see. It’s not about how black it is. Or how many prawns it has in it. By a skilled hand and over a blazing wok heat, only the most perfectly well braised thick yellow noodles, with shrimp, slices of pork, fish cake and cabbage will make the cut. Most cooks these days, don’t get the charring or wok-hei right and it’s just plain boring. Might as well be eating plain noodles doused in black sauce. The noodles don’t carry any smoky wow factor that’s worth writing about. So when we do find a place that serves up a good one, it’s only fair that we get all sweaty palmed about it. 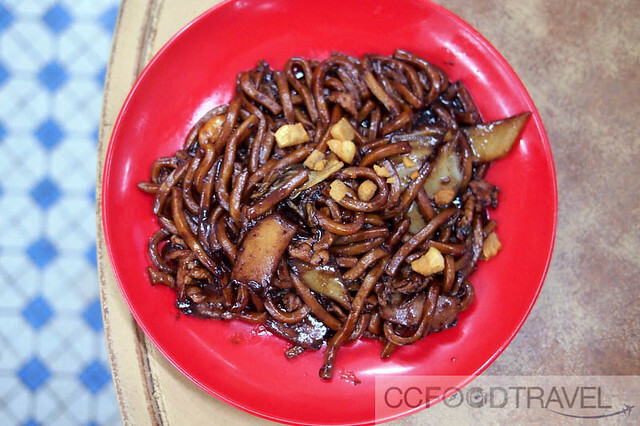 The dark soy sauce gives the noodles that black glistening hue, and tiny pieces of deep-fried pork lard are the icing on the cake. Of course there’s also probably some special ratio or concoction of seasoning the chef adds but something us common folk will never know about. At Pom Pom restaurant, the fried noodles are the bomb. 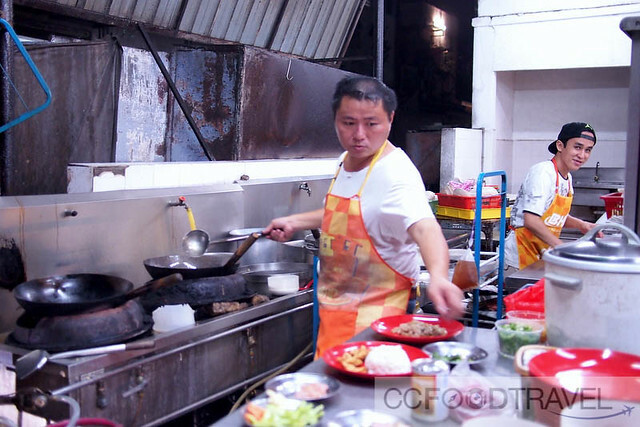 Folks only think about the western food here, but I tell you, this Dai Chow chef knows how to fry a mean noodle. 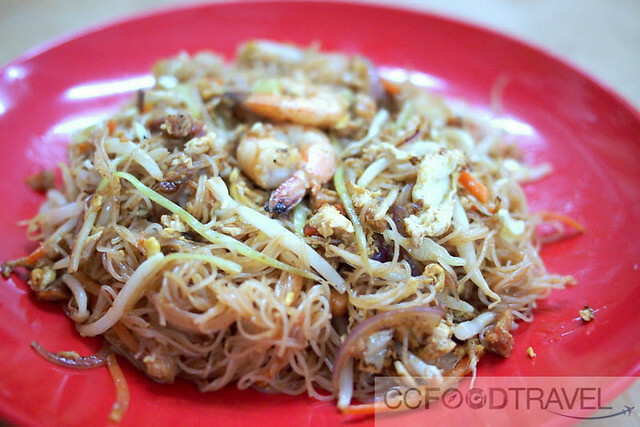 Fab Sing Chow Mai Fun or Singapore fried rice noodles – again tons of lardy, smoky aroma, and a nice sweet flavor but the noodles aren’t soggy and retain their springy texture. Lor Mee. Another signature here. 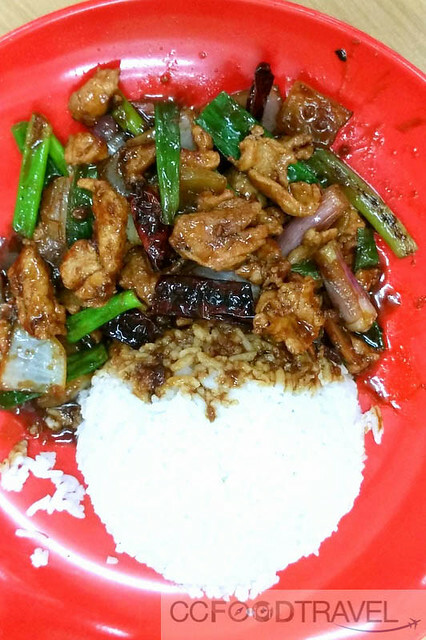 A trademark, clear, gooey, eggy, soy sauce based sauce, chock a block with ingredients such as prawns, fish cake, braised eggs, braised pork and vegetables. Adding the pungent chinese vinegar heightens the flavours and changes the taste of the broth somewhat. Even if you skip the vinegar, the taste is still pretty good. 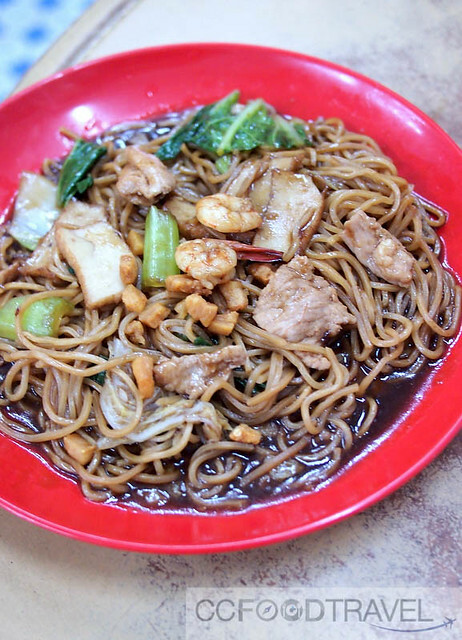 The Mun Yee Mien is also worth a mention. 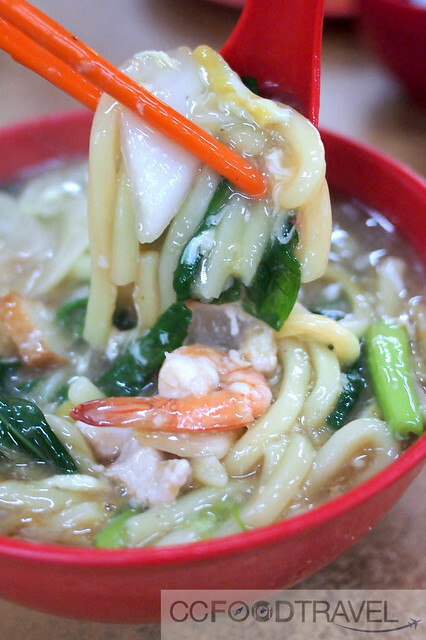 Where wok fried noodles are concerned, it’s like this shop can do no wrong. The cook just knows how to braise his noodles to perfection, with that nice lardy flavour, and noodles that have absorbed the sauces. Sounds remarkably easy, yet so many daichows these days don’t do it right. 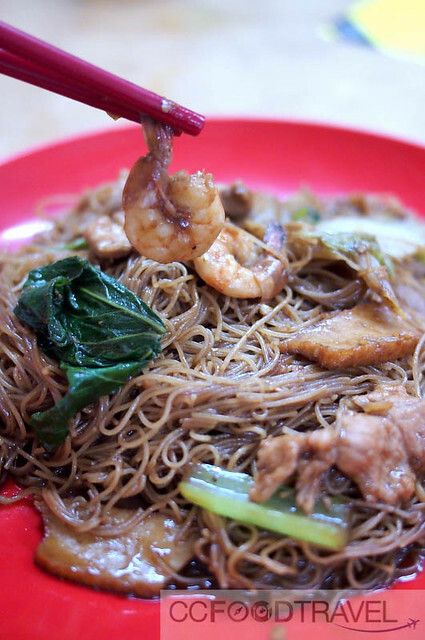 The Hokkien bee hoon is actually the same as the Hokkien Mee, just using vermicelli instead of yellow noodles. Super tasty as well, with great wok hei and pork lardy flavour. Pom Pom also does an excellent Ham Yee, Far Lam rice dish , ie. salted fish and pork belly rice. If you don’t like the fat in far lam you may request for lean pork meat. All are equally delectable. I love the spring onions that add texture, and a bright, pungent flavour to each mouthful. 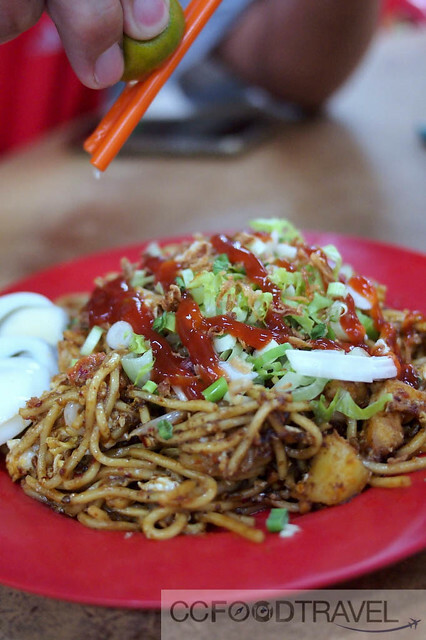 Apart from the Dai Chow, Pom Pom also has hawker stalls and this mee rebus is really delicious. Another must try. I think good food is contagious. 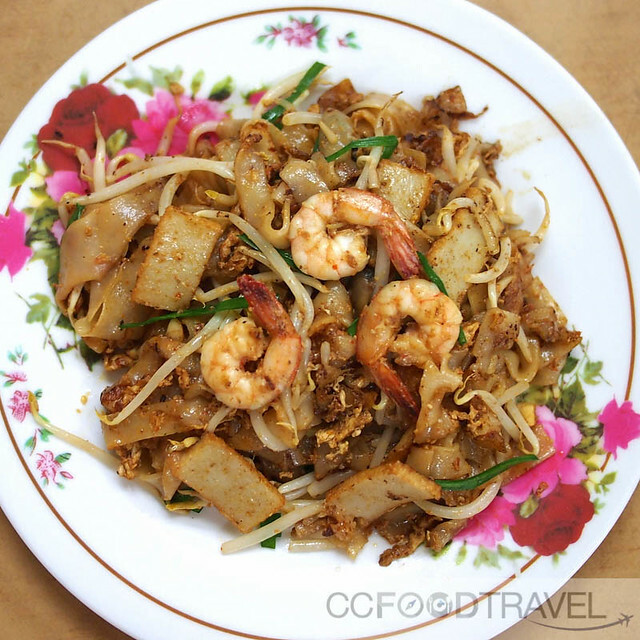 The Char Kwey Teow at Pom Pom from another stall is just as fragrant and well fried. So now you know where we spend most of our evenings. When we get back from a trip from abroad, a visit to Pom Pom is a must, to scratch that Hokkien Mee itch. Ah.. how can there be anything like it. Nope, nothing comes close. 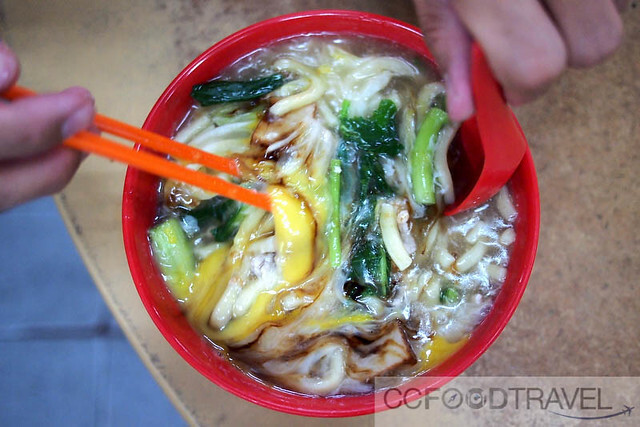 Previous articleTop 3 best drinks for pairing with Mooncakes! I must say that they looks picture licking good. the textures seems perfect. believe they are really delicious. so old school. nice. Thanks! This is one of the best so far – consistently good! 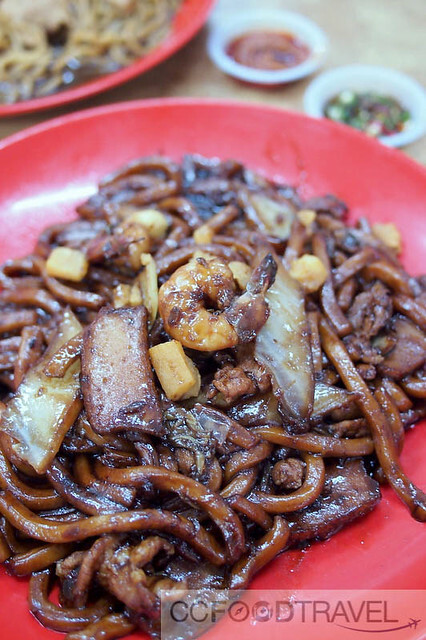 We used to go all the way to KL and Jinjang for good Hokkien Mee.. but this is our new fav! Hokkien mee sure looks good, not like the pale imitations here – nowhere near/like the best I have had so far…at Lot 10 Hutong. Thanks! Lighting was good. haha.. and the food was a worthy subject. Wah.. half raw pork liver.. (runs and hides!) haha.. i dare not eat that even!